GroundAware Mobile LX is a new highly durable mobile surveillance platform, featuring an innovative and versatile skid platform that simplifies and expedites truck-borne and static deployments of GroundAware Surveillance Sensors, video cameras and other security assets. GroundAware Mobile LX is designed to support a range of applications and environments that require high levels of mobile durability, including border security and enforcement; defending forward operating bases and remote military assets; critical infrastructure protection; and other scenarios requiring surveillance assets to be deployed in remote locations and difficult terrain where power, connectivity and mounting infrastructure are typically unavailable. 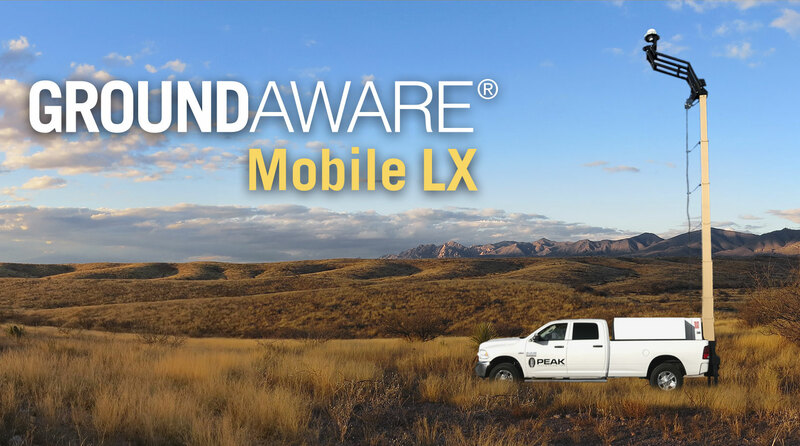 GroundAware Mobile LX, either fully equipped and mounted in a truck bed or in a standalone skid configuration, is available for immediate order from OWL. Aluminum enclosure structure (dimension up to 8 ft. wide by 8 ft. high by 11 ft. long), with automated cover for security storage of surveillance assets. GroundAware Mobile LX uses the truck’s power and a power inverter system to provide electric power for the skid platform and all surveillance assets. For static mountings where truck power systems are unavailable, standard generators or shore power can be used to provide necessary electric power. GroundAware Mobile LX supports a range of options for customers and unique requirements for mounting, communications and surveillance assets. OWL will have both GroundAware Mobile LX and LT units on display at the ISC West Conference in Las Vegas, April 10-12 in Booth #27109. Observation Without Limits (O.W.L. ), a Dynetics company headquartered in Huntsville, Ala., is a commercially focused company formed to innovate technology solutions that enhance the security, safety, and efficiency of customers’ critical sites. OWL is the provider of GroundAware®, the signature ground surveillance sensor systems for critical infrastructure markets. To learn more, visit www.owlknows.com. ©2017, OBSERVATION WITHOUT LIMITS. OBSERVATION WITHOUT LIMITS IS A TRADEMARK OF THE COMPANY NAMED OBSERVATION WITHOUT LIMITS. GROUNDAWARE IS A REGISTERED TRADEMARK OF DYNETICS INC. ALL RIGHTS RESERVED.